If sunbathing and getting nice and bronzed is a priority for you this summer then you’ve probably though “I wonder whats the best places to get a tan this summer?”. You’re after guaranteed sunshine, easy access to the beach and an awesome holiday experience! Here’s some great places you may not have thought of. I present to you my top 5 places to get a tan this year and some awesome hotel options that all have sea views. Remember to pack plenty of sun cream, your sunglasses and a swimming costume because things are about to get hot! Greece is one of the most beautiful countries in the Mediterranean and is packed with some extraordinary beaches. There is over 100 miles of beach along its coast however, if you want a secluded spot then take a trip to one of the Cyclades Islands to find somewhere a bit more peaceful. Ios in particular is renowned for having great beaches which are large enough for you to find a spot that isn’t overrun. Manganari, in the south-east, is considered the best by many. The hottest months in Greece are June through to September with the average high hitting the high 20’s. Perfect tanning weather! This video sums up why we love Greece so much. Perfect for sunbathing, partying and travel! 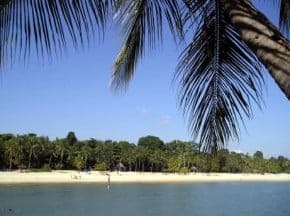 Being home to the “Sentosa” Resort, where there are 3 beaches called the “Palawan” Beach, “Siloso” Beach and “Tanjong” beach, makes this country a very special and worthy place to go if you want to get a brilliant tan. Its not far from the equator so the temperature is always in the low 30s and the sun is always shining. Just expect the occasional afternoon downpour. Plenty of factor 30 sun-block here. Here’s Singapore’s best beach on YouTube, see why we recommend it! When the place “Miami” is mentioned, what do you immediately think of? Sun, Sea and Fun? If you want a cracking tan this summer, then get over to South Beach in Miami, Florida. It is usually dominated by the younger generation playing volleyball and having parties. 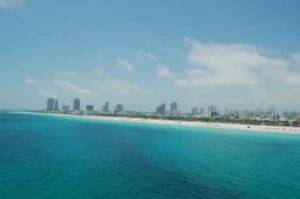 However this does not stop other age groups from enjoying this beach, as it is located in downtown Miami. There are plenty of great places to bask in the sun in this part of the USA. Los Angeles and San Diego have some amazing beaches that you should definitely go to if you want to top up your tan. 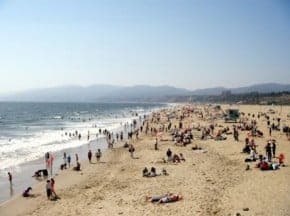 LA has some beaches, such as Venice Beach and Santa Monica Beach, which are perfect for chilling on or going skateboarding/rollerblading next to it. When you visit Hawaii, you will be sure not to ever forget this place. Waikiki Beach is a very popular destination, if you visit the capital of Hawaii – Honolulu, as it is a quick walk down to the beach from the main city high street. The sand is beautiful and soft and the water is clear and blue, making this a perfect holiday destination for you to top up your tan! 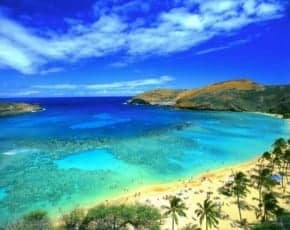 For beaches, shopping, eating and much more check out this really cool guide to Hawaii from Linda Dong.